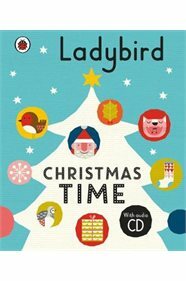 "Ladybird Christmas is a beautifully festive collection of traditional Christmas stories, songs and carols. With a retelling of the nativity story and the classic festive tale Twas the Night Before Christmas, it is perfect for sharing with younger children. The accompanying audio CD includes specially recorded material that means all of the family can read along with the stories and sing along with the songs! Includes these 15 favourite Christmas carols and songs: We Three Kings; Away in a Manger; Once in Royal David's City; O Little Town of Bethlehem; Silent Night; The First Noel; God Rest you Merry Gentlemen; Unto us a Child is Born, Hark! The Herald Angels Sing; The Holly and the Ivy; Ding Dong! Merrily on High; Good King Wencelas; Jingle Bells; We Wish you a Merry Christmas; The Twelve Days of Christmas"